In 2015, Wall Street Journal investigative reporter John Carreyrou uncovered the story that health technology startup Theranos and its founder Elizabeth Holmes were hiding the truth about technology that it claimed could perform hundreds of tests on a single drop of blood. 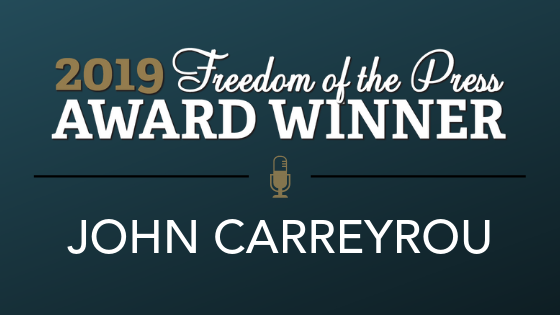 This year, the Reporters Committee for Freedom of the Press will honor Carreyrou with a Freedom of the Press Award for his reporting on the Theranos scandal. While Carreyrou reported on Theranos, several of his sources became the targets of a heavy-handed intimidation campaign aimed at silencing them. Theranos’s lawyers also used threats of litigation against Carreyrou and The Wall Street Journal in attempts to have the story killed. But Carreyrou pressed on. “At such a critical time in journalism these days, he was single-minded in trying to get everything right despite the obstacles, and he did,” Siconolfi said. In the wake of the reporting on Theranos, the company has shut down and federal prosecutors have filed criminal charges against Holmes and Ramesh “Sunny” Balwani, the company’s former president and chief operating officer. 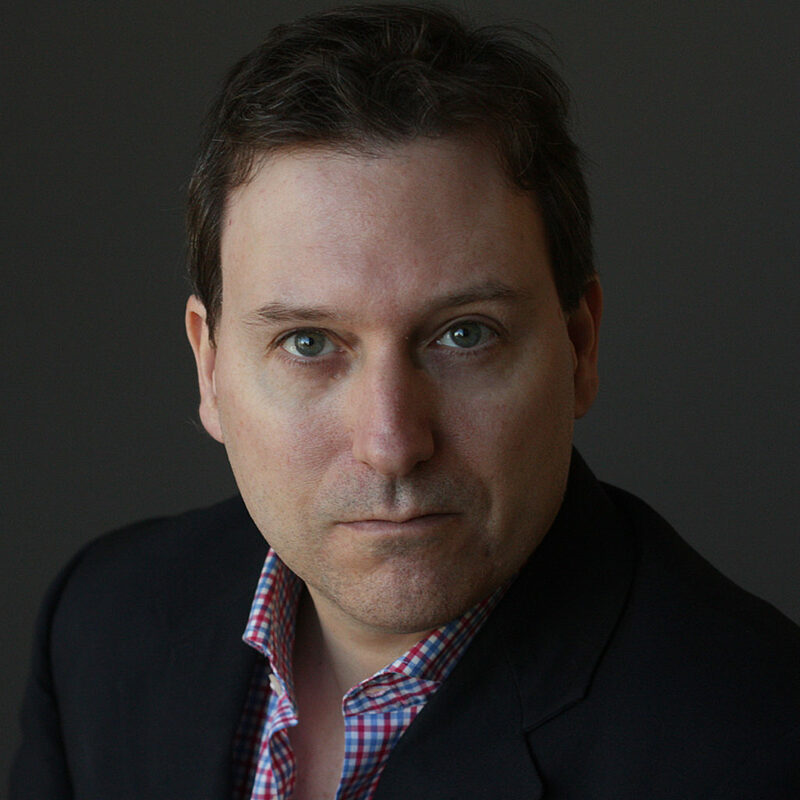 In addition to his reporting for The Wall Street Journal, Carreyrou published a book about the scandal, “Bad Blood: Secrets and Lies in a Silicon Valley Startup,” which became a New York Times best-seller, was named one of the best books of the year by NPR, The New York Times Book Review, Time, The Wall Street Journal and The Washington Post, and was recognized by McKinsey as its Business Book of the Year in 2018. The story is also the subject of a new HBO documentary film, “The Inventor: Out for Blood,” written and directed by Alex Gibney. Gibney is also a member of the Reporters Committee’s board. Carreyrou’s attitude and work ethic of ‘no holds barred journalism’ that’s fair and right — as Siconolfi describes it — is displayed throughout his career. In 2015, Carreyrou was a member of the Pulitzer Prize-winning investigative reporting team that exposed fraud and abuses in the Medicare physician reimbursement system. “He looks for stories that have the biggest public implications,” said Siconolfi. “He thrives off of revealing hidden information to people so that they can then figure out the best way to go about their lives,” said Chris Stewart, deputy chief of investigations at The Wall Street Journal, who reported on the Medicare story alongside Carreyrou. A native of France, Carreyrou moved to the U.S. to study at Duke University, where he received his Bachelor’s degree in political science and government. Since joining The Wall Street Journal in 1999, he’s been based in Brussels, Paris and New York covering politics, business and the medical industry. In addition to Carreyrou, the Reporters Committee will recognize David Bradley, chairman of Atlantic Media; Andrea Mitchell, chief foreign affairs correspondent for NBC News; and April Ryan, White House correspondent and Washington bureau chief for American Urban Radio Networks and a political analyst for CNN with 2019 Freedom of the Press Awards. The Reporters Committee will also honor the founders of City Bureau — Harry Backlund, Andrea Hart, Bettina Chang, and Darryl Holliday — with the second annual Rising Star Award.